With summer quickly approaching and the garden fully planted I can't help but be anxious for our veggies to grow. I love seeing our garden transition from little green plants to fully grown veggies ready for harvest. I think our grocery bill decreases in the summer because we're using our own instead of buying. The one thing we love to make with the fresh veggies is my sister's Italian Pasta Salad filled with veggie goodness! 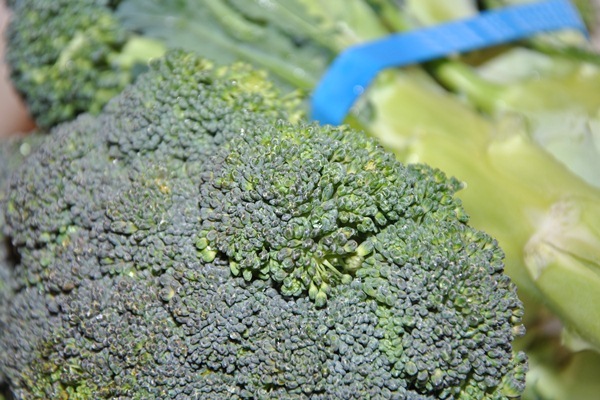 I should say that we usually make this year round buying fresh veggies at the store as I did for this post, but it always tastes better when the veggies are home grown. We also usually double the recipe (HERE) to make a huge batch because it gets eaten so quickly. 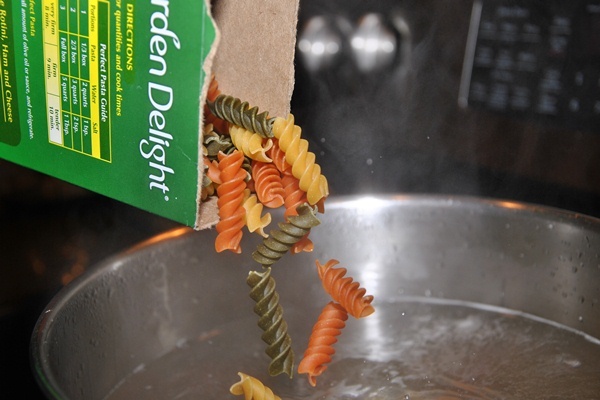 I need to tell you about the pasta-I love this Ronzoni Garden Delight pasta because each serving is a full serving of veggies. 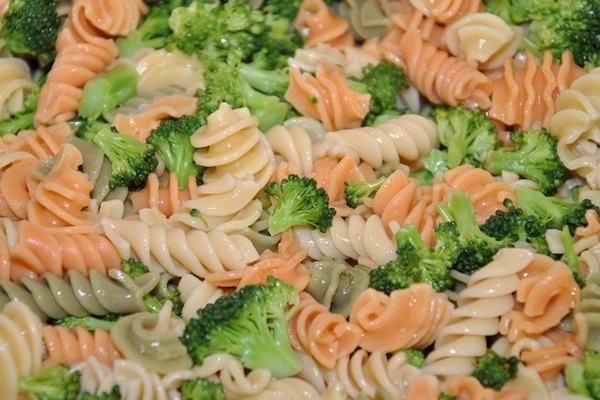 The pasta is made with carrots, spinach, and tomatoes and comes in a variety of shapes and sizes. You can use whatever pasta you want but with kids it's hard to get them to eat their veggies so when they love this pasta salad it just makes sense to use pasta that is made from veggies. 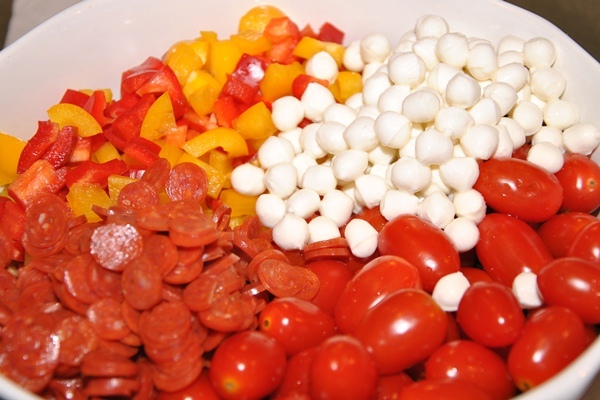 You can print the recipe for my sister's Italian pasta salad HERE and I promise you that it will be a huge hit at barbeques and parties this weekend! 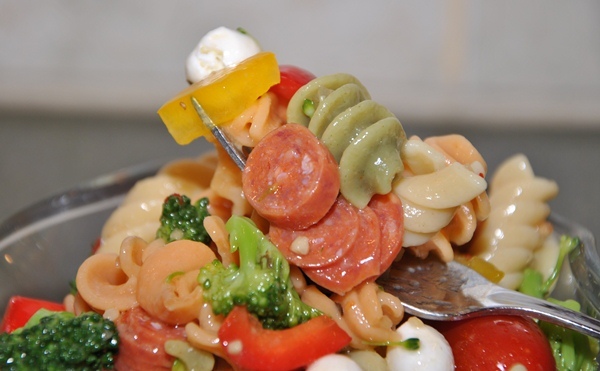 Like most of my family recipes this Italian Pasta Salad (recipe HERE) is no different which means it's all about adding what you love and want. 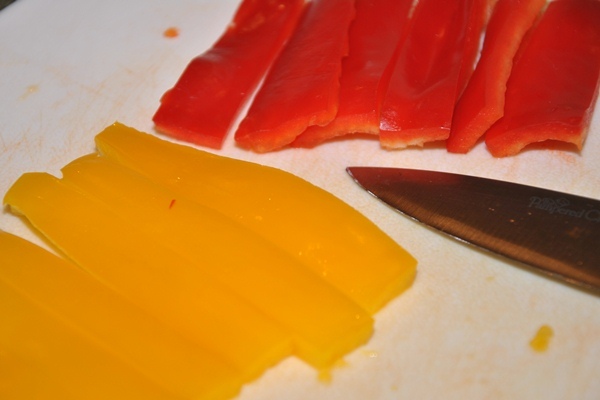 You can add olives, shredded cheese, carrots, you can eliminate the pepperonis or use a different meat, you can add a lot of peppers or a little, etc. 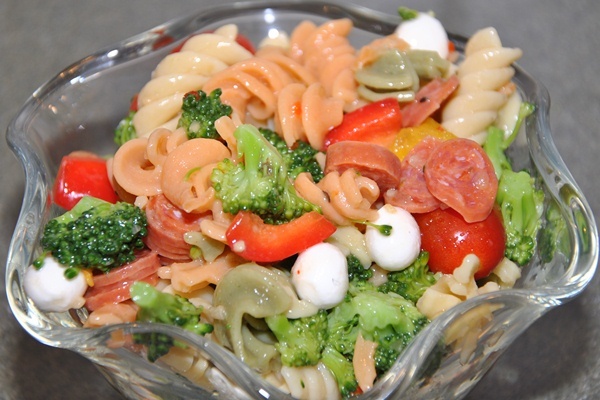 Customize this pasta salad into something you love to eat. I'm just sharing my sisters recipe, that we all love, with you. Happy Weekend and Happy Memorial Day!